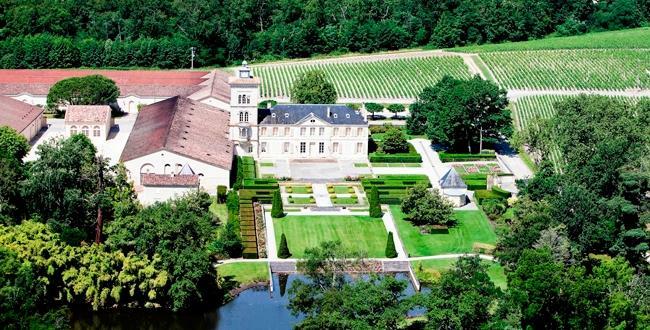 – Lagrange becomes the largest wine producing estate in the Médoc. But the history of the different owners cannot be reconstructed until after 1631. Soils located entirely within the appellation of Saint-Julien, our vineyard stretches in a single block over two North-South rises of Gunzian gravelly soil. In parts large and coarse and in others finer, this gravel is combined with sand or iron-rich clay depending on the plot. With an altitude of 24 metres, the centre of the domain marks the highest point of Saint-Julien. The estate covers 182 hectares (450 acres), of which 118 hectares (292 acres) are under vine. Most of the plots benefit from a drainage system. A subtle blend of tradition and modernity : these notions come together at harvest-time. The harvest is firstly handpicked into individual crates and then sorted both manually and by an optical sorting machine. Here we see Technology at the service of Excellence. Traditional Bordeaux vinification is carried out in 92 temperature-controlled stainless steel vats of varying capacities, thus allowing a separate vinification to respect the character of each plot and soil-type, each terroir. Placing all or part of a given plot into its own vat means we are able to harvest it at optimum ripeness. This level of precision ensures the perfect quality of fruit necessary for the production of exceptional wines.The total vatting time, established by tasting, varies from 16 to 28 days, depending on the tannic development in the fermenting wines. The temperature of fermentation never exceeds 28°C to guarantee preservation of the finesse and fruitiness. The selection of press wine is performed "barrel by barrel" allowing a wider choice range during the blend tastings. Wine Enthusiast 94"Smoky aromas and new-wood flavors mark this wine. It has weight, as well as a concentrated core of tannins; and it shows long-term aging potential." ~R.V. James Suckling 95"Great nose of blueberries, spices and hints of walnuts. Full body, with a lovely finish of well-integrated tannins and a long, long finish. This is structured yet all in finesse. Best in years." ~J.S. Wine Spectator 89"Aromas of blackberry and cherry follow through to a medium-bodied palate, with fine tannins and a fresh finish. Balanced and refined. Best after 2009. 25,000 cases made." Wine Spectator 92"Aromas of blackberry and currant with just a hint of black licorice follow through to a full-bodied palate, with fine tannins and subtle ripe fruit, giving licorice and mineral undertones. Complex and refined. Very well done. Best after 2011. 24,165 cases made. (JS)"